We recently published both an article and an Answer column that shows how one group in Philadelphia, WPRE/NR, is challenging the conventional wisdom that scattered site, small-unit rehab has to be more expensive than new construction. They do batches of 20 to 60 units at a time resulting in lower costs per unit than one-off rehabs. They don’t have to include many components required in a multiunit building—such as stairways, elevators, structured parking, or common areas—or have to pour foundations. They hire small local subcontractors with community connections. As we published the last item on that list, we knew that while it wasn't actually unique to this scattered-site rehab program, that it might spark some concern. Hiring local contractors is a great way to support community economic development—it keeps money circulating in the neighborhood, creates more local jobs, and tends to reduce the racial wealth gap if it gives more opportunity to businesses owned by people of color. On the other hand, listing local hire as specifically a cost-saving measure also raises questions. Why is it cheaper? Does it have to do with paying lower wages? After all, the question of whether affordable housing developers should pay prevailing wages has been a long-standing debate. People who earn a living wage don't need help paying for housing (in most markets), after all. The issue is not clear cut. 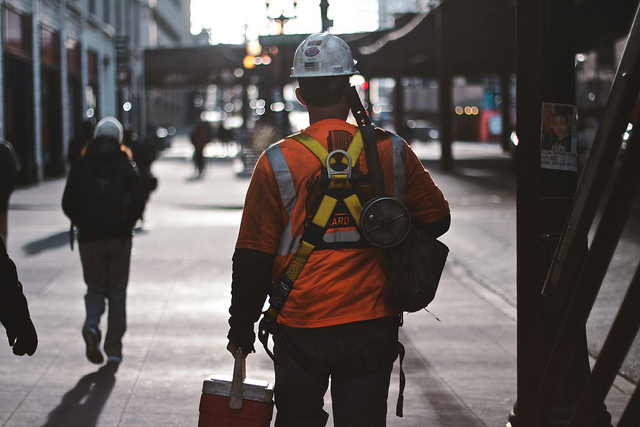 The building trades unions do generally raise wages for workers, but they also have been historically exclusionary and inaccessible. They were often part of the pattern of bringing relatively well-off workers from far away in to work on large projects in neighborhoods desperate for jobs and deserving of some economic benefit from hosting this development. To push back against this problem (which is, to be clear, not specific to union labor) the local hiring and local purchasing/contracting movements have been born. There are many approaches in the community development world to this challenge—in Humboldt Park, a CDC-owned construction company became a union shop, but struck an agreement allowing it to still hire locally. CDFIs have struggled with whether and how to impose job quality standards on their small-business borrowers. Many local hiring campaigns have learned to include other criteria in their agreements. If you do development directly, do you ask about or set standards for wage levels on your developments?